Libertarian Party candidate Gary Johnson, the former Republican governor of New Mexico, is polling in double digits against Donald Trump and Hillary Clinton in a new Monmouth University poll. In the potential three-way race, Johnson garnered 11 percent of the vote, and, perhaps surprisingly, had a (slightly) more detrimental effect on Clinton than on Trump. Monmouth also tested a potential three-way race involving Clinton, Trump, and former GOP governor, now Libertarian, Gary Johnson. In this hypothetical contest, Clinton earns 42% of the vote – down 6 points from the two-person race – and Trump gets 34% – down 4 points from the two-person race. Johnson takes 11%. In this contest, Clinton maintains her swing state lead – 44% to 37% for Trump and 9% for Johnson – while her leaning state lead narrows – 43% to 34% for Trump and 9% for Johnson. Johnson gets his highest vote share – 15% – in the red states. Johnson is largely an unknown commodity. Just 9% have a favorable opinion of him and 15% an unfavorable opinion, while 3-in-4 (76%) don’t know enough about him to form an opinion. Interesting. Obviously, while this is a single poll, it's still really interesting to see a Libertarian Party candidate poll so well. Johnson was well-received by the mostly conservative attendees at CPAC, yet only chipped away from Trump's numbers by four percent. 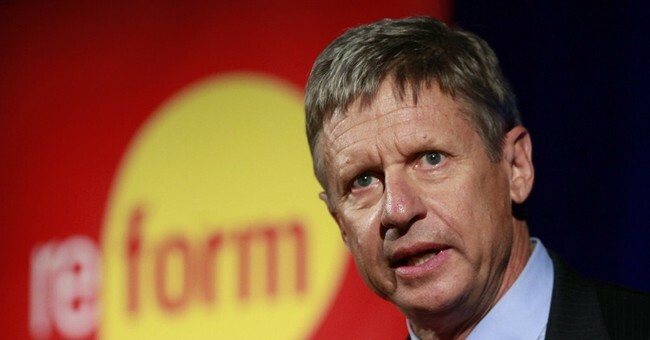 Johnson had previously set a record for the number of votes received by a Libertarian Party candidate in 2012, and it's increasingly likely that he could duplicate that success in 2016.